I recently went on a trip for 7 days and had to figure out how to bring my whole closet with me. Okay, not my whole closet but before you start judging, I had to bring a mass amount of outfits because I had different events to go to throughout the week. So, I took advantage of a large suitcase and found my packing ninja skills. To my surprise, I got everything in one suitcase AND it didn’t weigh over the limit. Now we are talking over 25 outfits, 6 pairs of shoes, curling iron, toiletries etc. Impressive right? Below are some tips on how I did it! Pack nice and neat. You’d be amazed at how much more you can get into a suitcase when everything is nicely and strategically packed inside. 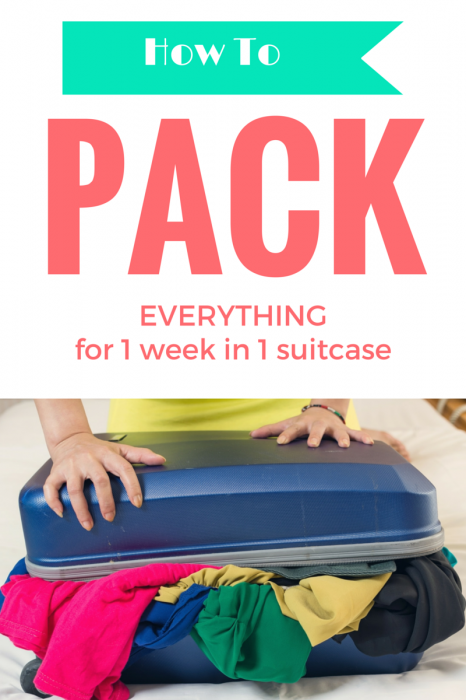 Lay everything out near your suitcase and then start packing. Pack the larger things in first and towards the middle. Items like your curling iron, shoes etc should go in the middle. Pack heavy or bulky clothes such as jackets and jeans on the bottom and line the suitcase. Then add the oddly shaped bulky items in the middle. Tightly roll and wrap your items. I roll a lot of my clothes tightly and pack them together in the suitcase. This helps with fold wrinkles and space. Take advantage of empty spaces. As you start to pack, start building layers and putting your items in between other items like shoes to fill every crevice. 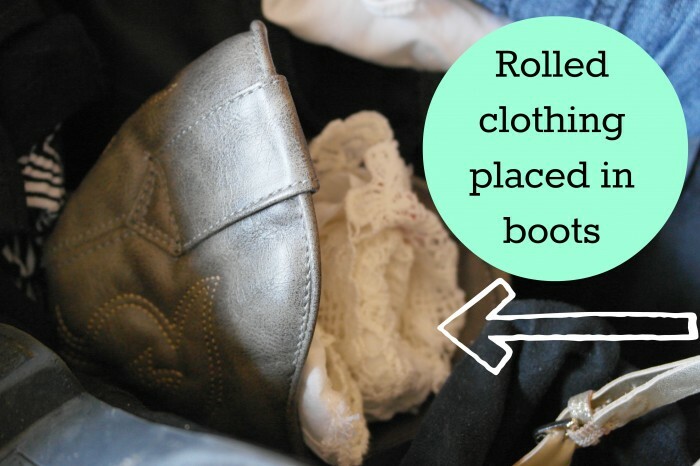 I bring along at least one pair of boots on every trip and I be sure to pack items inside them. This also helps them keep their forms. Bring a duffle bag just in case. After packing a large suitcase, you may be surprised to find that when you get to the airport, your bag is over the weight limit and that can get pricey. Bring a duffle bag in case you need to unpack some of your items and then carry them on. Packing Cubes – these are perfect to keep everything organized especially if you are packing for more than one person. We also like using these to keep track of dirty clothes. 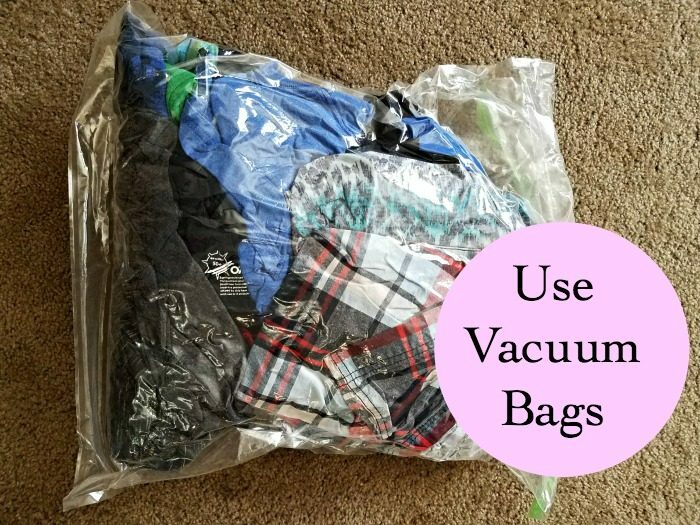 Vacuum Bags – These are my favorite thing to use for packing. 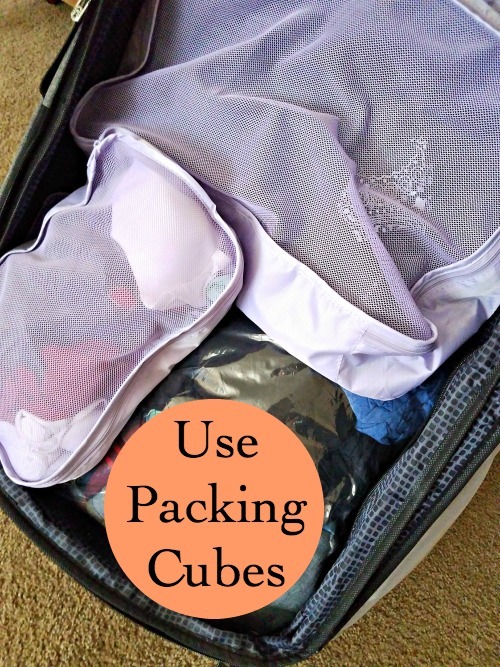 You can easily pack several pairs of pants, shorts, shirts, etc into one bag. Here is the one I have from Amazon and you don’t need any tools, you just push the air out and you are done! Packing Folder – To help you keep things nicely folded while also saving space, try a packing folder. Here is the one I have from Amazon, it’s less than $10! Luggage Scale – You can make sure your luggage stays under the standard weight for the airline by using a luggage scale. Be sure to take it with you if you plan on bringing things back with you from your trip! You can find a highly rated scale for Here is the one I have from Amazon which definitely will save you money compared to airline fees. If you are flying, always check the regulations set by your airline. Invest in a high-quality large suitcase, you won’t regret it. 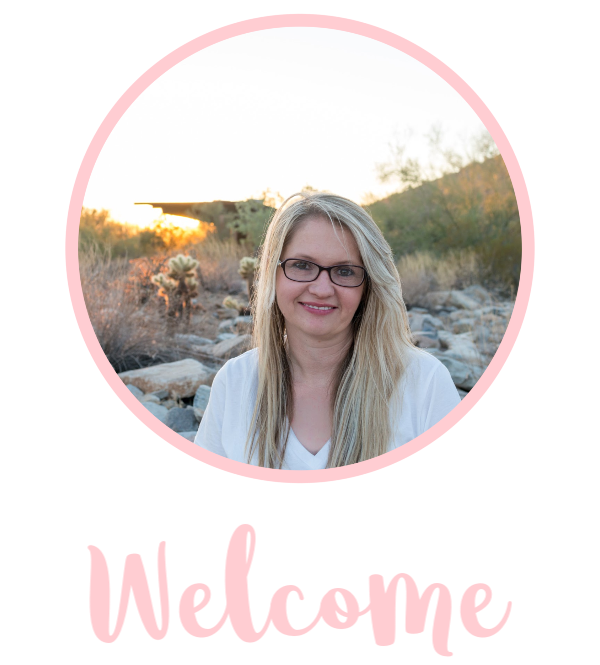 Our favorite brands include American Tourist and Briggs and Riley. Be sure to bring all liquids in double-bagged Ziploc bags. Bring extra baggies in case something happens! Always pack an extra outfit in your carry on because there may be a chance your suitcase got on the wrong airplane and went for a detour. 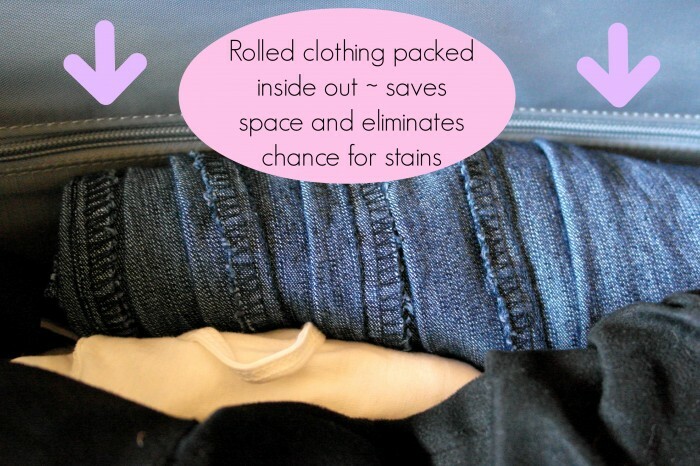 Pack your clothing inside out, this helps make sure no dirt or stains get on your clothing while in transit. Trust me, I have had makeup bags open with makeup exploded on clothes.